LUUNA was born in York in late 2015. A meeting of three musical worlds. 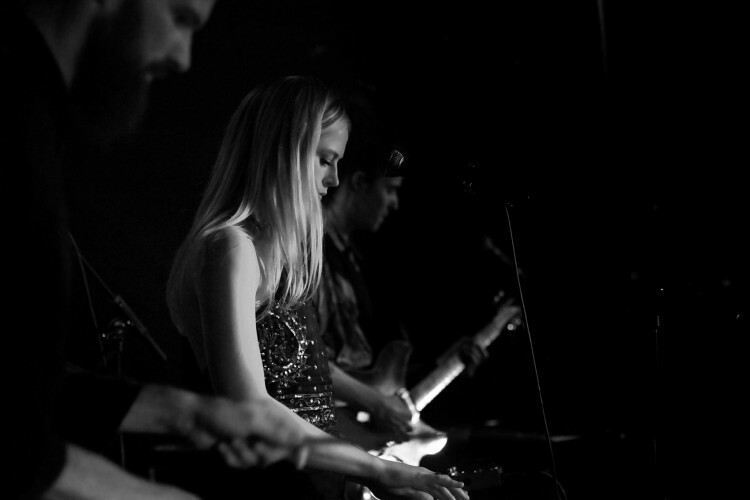 The group draws from a broad sphere of influence to produce a unique sound which lies somewhere between woozy trip hop and dark, psychedelic pop. In the summer of 2016 they released their first music on soundcloud, ‘A Big Fat Something’, a track they were asked to create as part of a PRS funded project. The song was received to critical acclaim and strong radio support followed from BBC Radio 1, BBC Introducing, 6Music and Amazing Radio. Since then the band have continued to write, record, perform, drink wine, and explore the North of England. In December 2016, a year after their formation the band signed a deal to work with up and coming label, Young Thugs Records. LUUNA have recorded and self produced the Moonflower EP, which is set for release on Vinyl, CD & Digital on the 6th March 2017. LUUNA is purelove. A project born out of the desire to create freely without limitation or destination, driven solely by the enjoyment of shared expression.